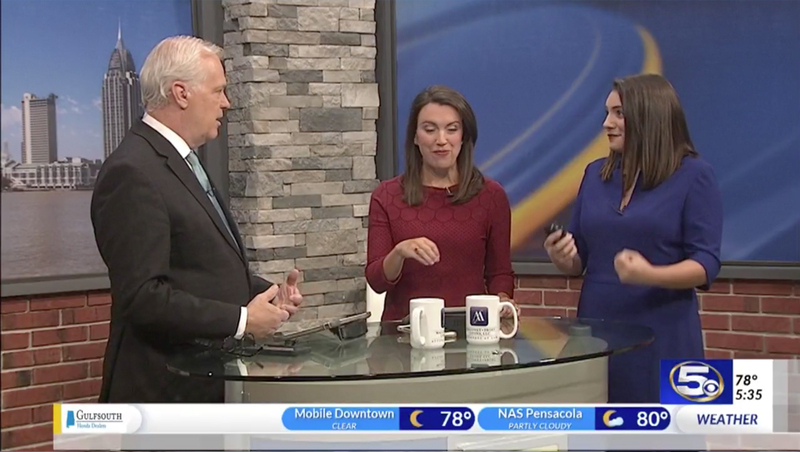 The anchor team at WKRG, the CBS affiliate in Mobile, Alabama and Pensacola, Florida, has quite a debate on its hands as it readies a new set — do we sit or stand on the temporary set? Behind the anchors, the temporary set features a cityscape and graphical printed background as well as a small pod. Faux brick and stacked stone that match the station’s now-former set are also used. 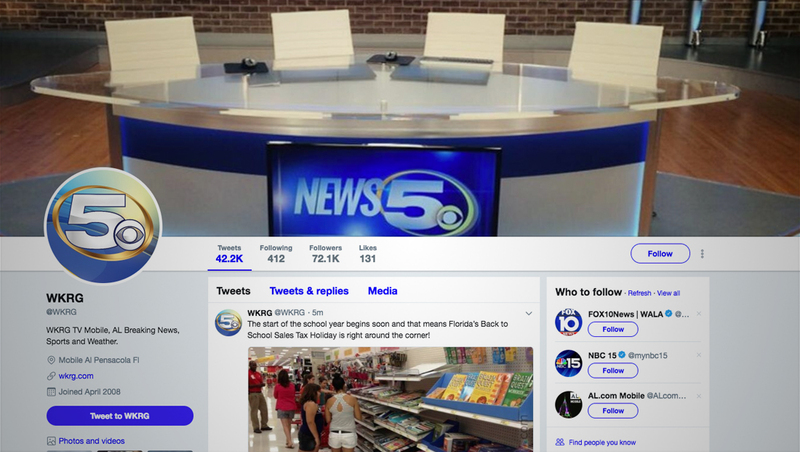 Photos of the old set still adorn the station’s Twitter page banner. On Tuesday, the morning team decided to try standing — and bantered about it briefly, including poking fun at one of the team’s “vertically challenged” members. The team even asked viewers to let them know which they prefer — sitting or standing — on Facebook, and the topic already garnered some attention on the station’s social media. So far, the station has not announced a definitive debut for its new home.